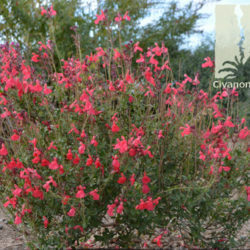 There are many Salvia greggii hybrids available on the market today, each with a unique variation on flower size and color, temperature preference, vigor, and stamina. 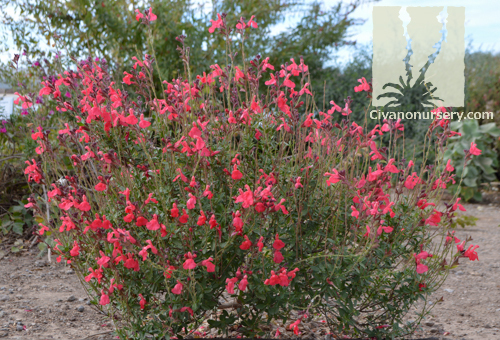 Civano Nursery takes the guesswork out of choosing the best plants for Tucson’s tough climate by testing new varieties at our local farm; selecting and propagating only the top performers. 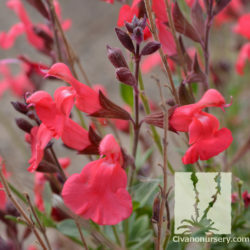 Ruby Slippers Autumn Sage is one of these selections, favored for its profusion of large, bright flowers, compact growth habit, and outstanding summer heat tolerance. 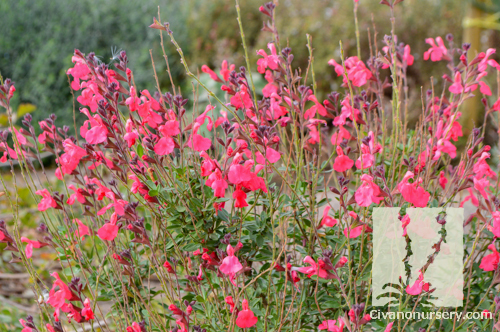 This sun-loving perennial can be evergreen through milder winters, and the foliage has a pleasant sage aroma that rabbits dislike. 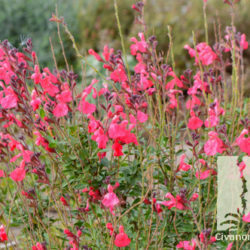 Hummingbirds and occasional butterflies go nuts for the non-stop show of flowers that bloom from early spring until the first winter frost.